Bob Senator is an engineer, farmer, grandfather, handyman, mentor, and friend of many. In 2011, Bob was diagnosed with idiopathic pulmonary fibrosis (IPF) and was forced to retire early. However, he certainly did not retire from life. Bob loves to tinker and build around the farm. Until recently, one could find him under the hood of a car or a piece of farm equipment sporting some very stylish overalls along with his oxygen equipment. In addition to the family and farm he has contributed countless miles and hours working with the youth of his community where he is known as “Sam”. On July 30, 2015 Bob was blessed with a new lung. He is currently recuperating at UPMC in Pittsburgh, making steady progress and being well cared for by the medical team and his wife, Jenne. Our hope and prayer is Bob’s new lung will take over and allow him to get back to life with family and serving others. Transplants are life-saving, but financially draining. Even with Medicare Bob is facing very high expenses including travel costs, relocation for several months to be closer to the hospital, post-transplant medications, co-pays and the list goes on. To help with the financial burden of Bob’s uninsured expenses a fundraising campaign in his honor has been established with HelpHOPELive, a trusted non-profit organization that has been providing community-based fundraising guidance to patients and their families for more than 30 years. All donations are tax deductible, are held by HelpHOPELive in the Mid-Atlantic Lung Transplant Fund, and are administered by HelpHOPELive for transplant-related expenses only. Donations, prayer, and support are warmly welcomed. Please, consider partnering with Bob, his family, and the community as we travel down this road. The first Christmas our family celebrated together knowing of Dad’s disease and its likely outcome, my mom gave us all an ornament – a flying pig with the inscription “James 1:2-3”. This verse reads “Consider it pure joy, my brothers and sisters, whenever you face trials of many kinds, because you know the testing of your faith produces perseverance.” We ask you to rally around Bob and encourage him in this new walk of healing. We will keep you posted as he perseveres to rebuild strength and embraces restored health. Latest update…no rejection! Let’s get some likes on that one!!! Update!!! We’ve been walking the streets of Bob’s Alma Mater building strength and exercising that new lung. He still needs a little oxygen as the healing process continues. We’re waiting for the next bronchoscopy which is scheduled for this week. We’re hoping and praying we can then go home. Thanks so much to everyone for your support during this time. It’s means so much to have a community of people who care. As many of you know, Dad was out of the hospital for just over a week, but now he has found himself back there. Although he overcame the first bought of (severe) rejection, he is now undergoing treatment for a second case of mild rejection. He a good sport about it all. Really, I am so proud of my dad. His attitude towards everything that is going on is really amazing. Despite the setbacks, he is really doing quite well. 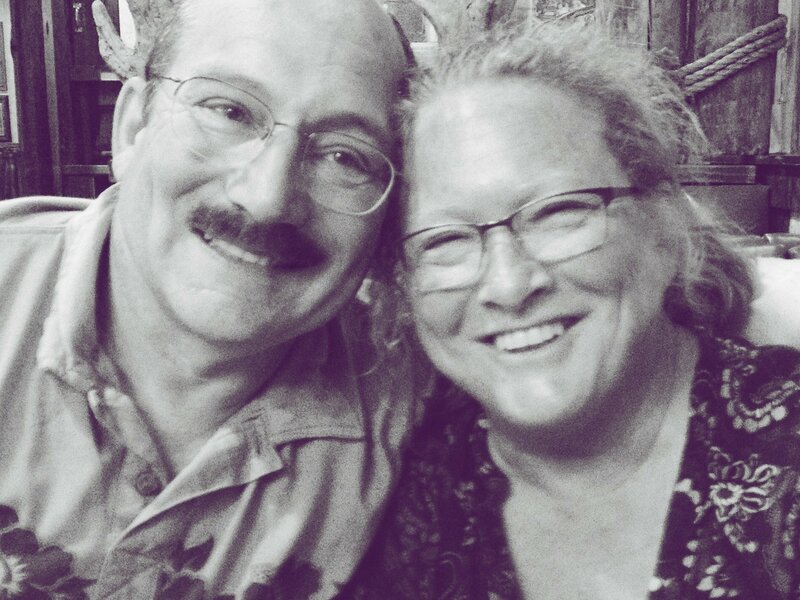 Dad and Mom are hoping to get back home by the end of October… “We’ll see” seems to be the doctors favorite line. Because of all of the setbacks and the added time of recovery the out-of-pocket expenses will be much more than expected. We are asking for your help. If anyone who would be willing to share this would do so, the word will get out to many more people. We have set a goal of $10,000 in funds to help pay for the medications, the relocation costs, and other fees. Won’t you help us reach that goal? Please LIKE, SHARE and GIVE if you can. Here he is…looking good! We’re living in Family House now while he gains his strength. He needs to be near the hospital for at least a month. It’s been quite a ride. The new lung is getting used to it’s new owner and seems to be doing well. We really appreciate the gifts of kind words and monetary donations. Co-pays for the first month came to $500! ‘Finally feeling like I can communicate reasonably. It’s been a struggle these last weeks. Just want to be sure you all know I’m very thankful for your encouragement and prayers. Today started out rather confusing. Bob insisted there were puppies in his mattress and was also upset the nurses had a party in his room preventing him from getting any sleep last night. FYI…the steroids can cause vivid dreams and hallucinations. As the day went on things got a bit sorted out, however, he had us checking for the puppies when we moved his bed to a different larger and nicer room. Despite the pups, he’s working really hard to regain swallowing strength (he hasn’t eaten for 3 weeks) and completed 4 walks today. ‘Can’t wait to see what tomorrow brings. Love this guy so much! Good news! After a very scary diagnosis of a severe rejection to the lung, lots of pain, high doses of horrible medications, and being put back on the ventilator; Bob has starting feeling better again. He had the ventilator taken out this afternoon and was able to talk on the phone with some of his family. There is no guarantee that rejection won’t resurface, but for now things are looking positive. We are so grateful for all of the support, love, and prayers from our community. Another day in the ICU. They started Bob on a steroid to combat the rejection. They’ve ruled out viral and bacterial infection. He should be back on his feet ummm…not soon enough. This is so tough on him. yet he has been amazing. So proud of him! While he was off to a running start, rejection and possible infection has brought Bob to a temporary halt. Once they’ve positively identified the culprit through broncoscopy and cultures they’ll know which meds to hit him with. So we play the waiting game… More later. Dear Bob & Jenne, Merry Christmas! This is Jongo, Maina's cousin. We just saw this post today. I'm so sorry. Praise God for healing and provision. We will continue to pray and support. God bless you. May the God of hope fill you with all joy and peace as you trust in him, so that you may overflow with hope by the power of the Holy Spirit.Romans 15:13 Keeping the Senator family in all of our prayers and pray for peace and strength as God's work is carried out in your lives. Hang in there Bob! Michelle and I are hoping you feel better soon! We just found out what has been going on through a FB post. We are keeping all of you in our thoughts and prayers. May God watch over you, keep you and meet all of your needs. Praying for you and your family during all this. Love you bunches Bob and Jen. Praying for God's Blessings for you and your family. Also praying that He surrounds your doctors with all the knowledge and tools to get you back on you feet.